The Waan Aelõñ in Majel Program based in Majuro, Republic of the Marshall Islands has received a grant to renovate one of its buildings into a Visitors Centre. Waan Aelõñ in Majel, an NGO, trains local young people in carpentry and woodworking skills using the medium of the traditional Marshallese Outrigger and has significantly contributed to their revival in Marshallese society. 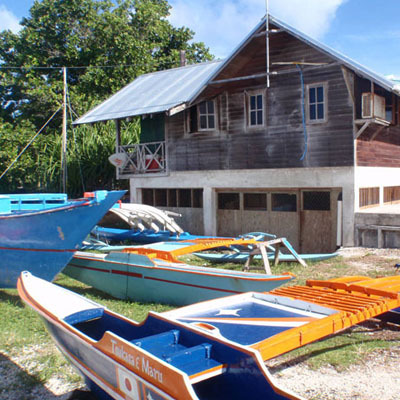 The new Visitors Centre, due to open in August 2011 will enable local people, and tourists alike to learn about the history and importance of these canoes to the Marshall Islands. Allowing people to fish for food, and travel between atolls, they were essential to the survival of the Marshallese people and as such many legends about their creation exist. The new centre will bring together historical photographs, stories and models of the canoes so people can learn more about this aspect of history; particularly important in an age when more modern methods of sailing take precedent. Waan Aelõñ in Majel’s Associate Director, Aylssa Cowell said ‘we wish to thank PATA for the opportunity to develop such a culturally significant resource here in the Marshall Islands. The centre will be a fantastic addition to tourism here, visitors can currently sail in the WAM canoes, but there isn’t the opportunity to delve into why these canoes, cited as the fasted in the world, are so important to the Marshallese people. This centre will change that, and educate not only tourists, but also local people, especially through our schools program’. Funded by the PATA Foundation in February this year, now the Waan Aelon in Majel (WAM) Visitors Centre is complete and ready for visitors. WAM held an opening ceremony for its Visitors Centre on September 27 with US Ambassador Martha Campbell and Republic of China Ambassador George T K Li among the guests. The Visitors Centre is located at WAM’s old office, while the office has been relocated to its shop close to the lagoon. “The centre was a lot of work, and it holds living experiences”, said Kathy Hutton, WAM’s Associate Director. The WAM trainees opened the event with a Marshallese song, which according to WAM Director Alson Kelon, spoke of their ocean, sky, and culture. “These kids were once called night kids, now after joining WAM they have changed to something better” said Kelon. He also expressed his gratitude to PATA Foundation for funding the project and the National Training Council for its cooperation. “We are fortunate for the help we have received” said Kelon.